The news keeps coming fast and furious here at JPtoys lately! 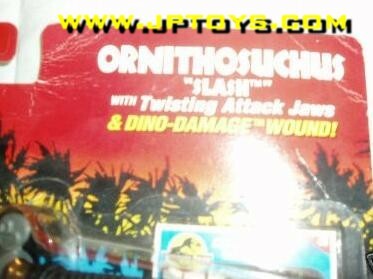 This latest news item was stubmbled upon by forum members 'Triceratops123', 'giganotoigauana' and 'parasaurolophus722 and appears to be a mock-up or prototype packaged version of the previously unreleased JPS2 Ornithosuchus. 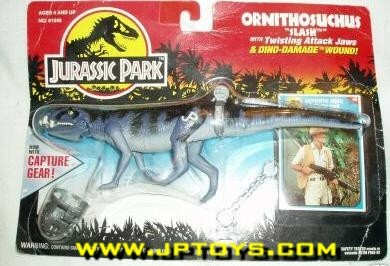 Similar to the packaged (but unreleased) CE Ultimasaurus, this Ornithosuchus was more than likely packaged for showcase at a Toy Fair but ultimately never saw the light of toy store shelves. The Ornithosuchus was being sold on eBay in England but unforunately was cancelled recently due to what the seller termed "oversealous fans" asking too many questions about the item. Jumping right into things, we have 2 new diorama galleries from 'dilo2' and 'Chuckles'. There's over 40 new dioramas between them so be sure to check those out. We aslo have a new Collection gallery from 'Mr. Pilkington' to pass along. And finally today we have a new poll question up concerning your thoughts on the 2 new JPD3 repaints. 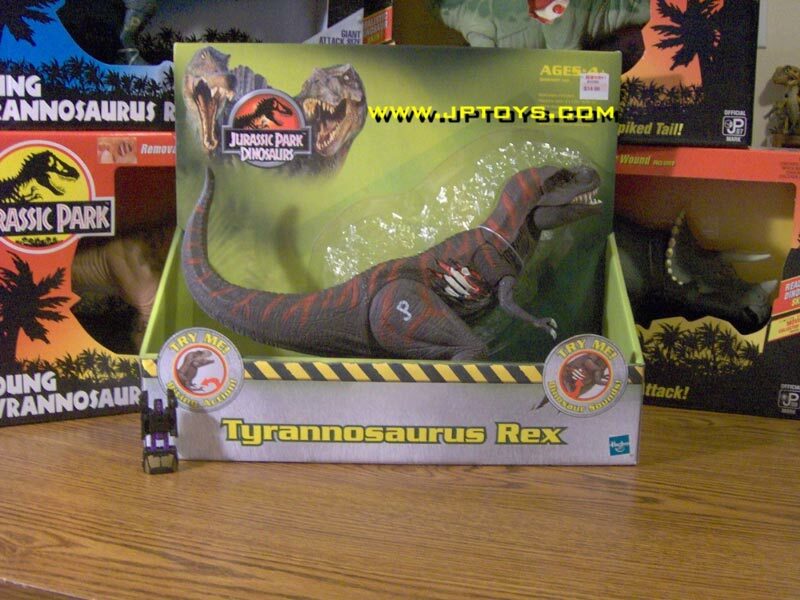 In another JPtoys.com exclusive, we are proud to give you your first look at the 2 new JPD3 repaints courtesy of forum member "JPobsessed"...enjoy! JPobsessed mentioned that each deluxe figure was $14.97. 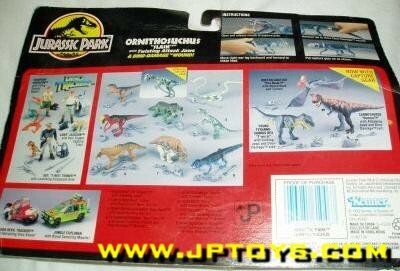 Based on the back of the box, it looks like we'll have much more to collect in the coming weeks/months. For sure we see 3 new regular dinos - T-Rex w/micro Triceratops, Velociraptor w/micro Pteranodon and a Triceratops w/micro velociraptor. 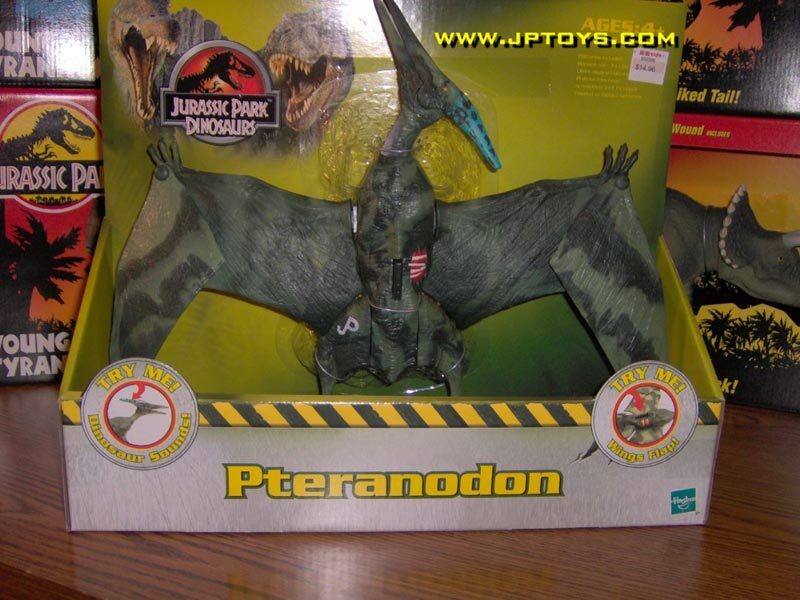 We also see at least 3 new 2-packs, with a 4th listed (Pteranodon & Compy) but not shown. 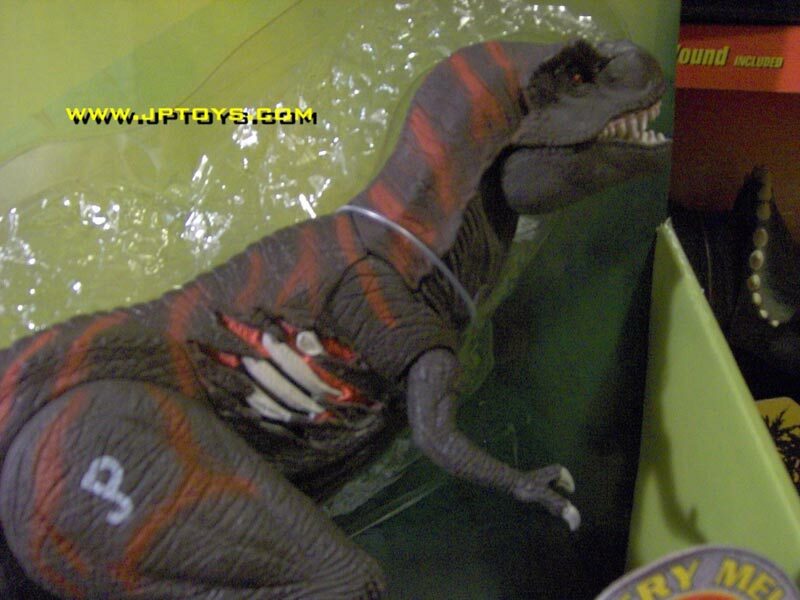 We'll be sure to bring you more details as they become available so stay tuned here to JPtoys.com for all the latest! 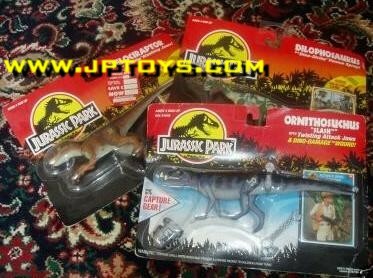 "I was at the Freehold Raceway mall today for the sports card collectible show, i stopped off in KB toys and to my surprise there were 2 new repaints of JP Dino's. 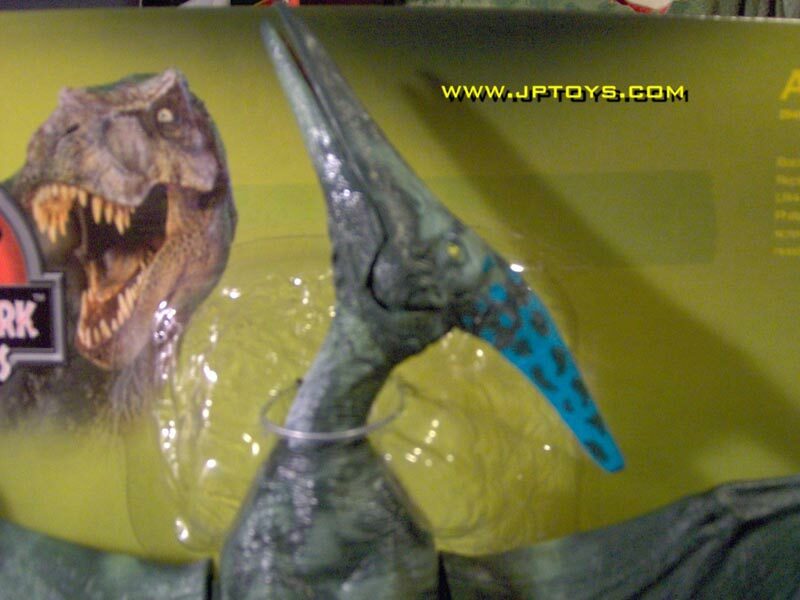 One was the JP3 Deluxe Rex in black with red stripes, and the other was the Alpha Pteradon(Sorry for spelling) in a greenish color and the beak was a semi baby blue color." "KB Toys: "Thanks for calling KBs where you can save half off on all orange sticker items, can I help you?" Stitch: "Yes, do you have any Jurassic Park toys?" KB Toys: "Uhm, I believe we do. Yes, we have quite a few." Stitch: "Ok, do you have a black dinosaur with red striping patterns?" 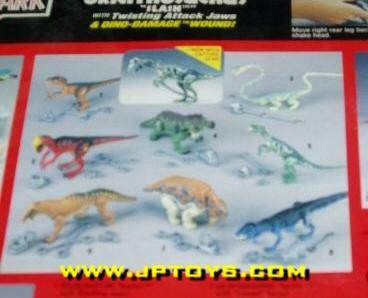 KB Toys: "Well, there's alot, like 12 different kinds. So if you wanna come in and take a look." Stitch: "Well, I'm in Seattle." So, these are indeed the real thing. 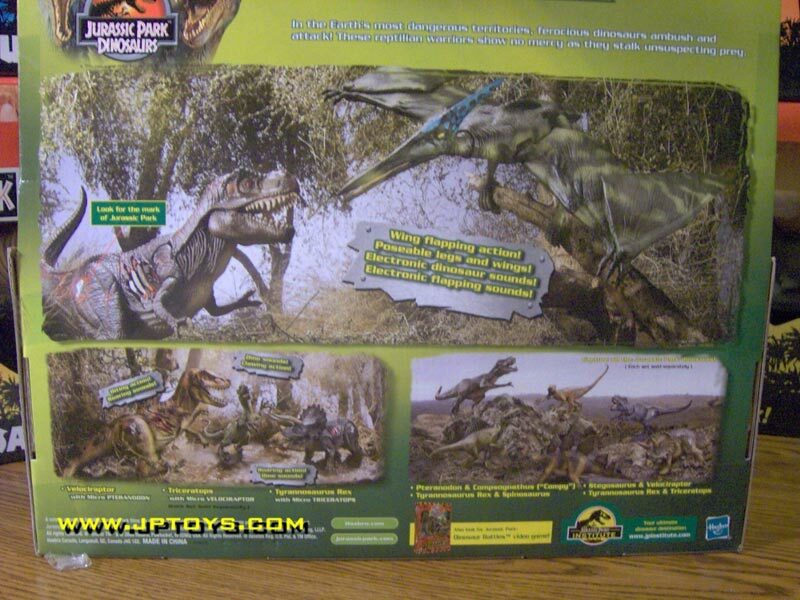 He was told there were pictures on the back of the package of other dinosaurs in the line, but I don't know if they're new ones or the same JPD2 figures that came out a year ago." With this confirmation, we'll hopefully be able to post pictures soon. In the meantime, be sure to follow this thread on the forum for all the latest details.